Do we include delivery with purchase? Yes, The Spa & Sauna Co does. Get A FREE Hot Tub Buyer's Guide! Get A RISK-FREE Price Quote! The Spa and Sauna Company includes local delivery with the sale of our hot tubs. These deliveries are provided by a team of trained hot tub delivery experts, who are all team members at The Spa and Sauna Company. Some other area spa dealers include spa delivery in the sale price, but others don’t. Some provide local delivery only in the Reno/Sparks area. Others have a base charge of about $200, that increases based on the difficulty of the delivery. So how much is a hot tub delivery worth? 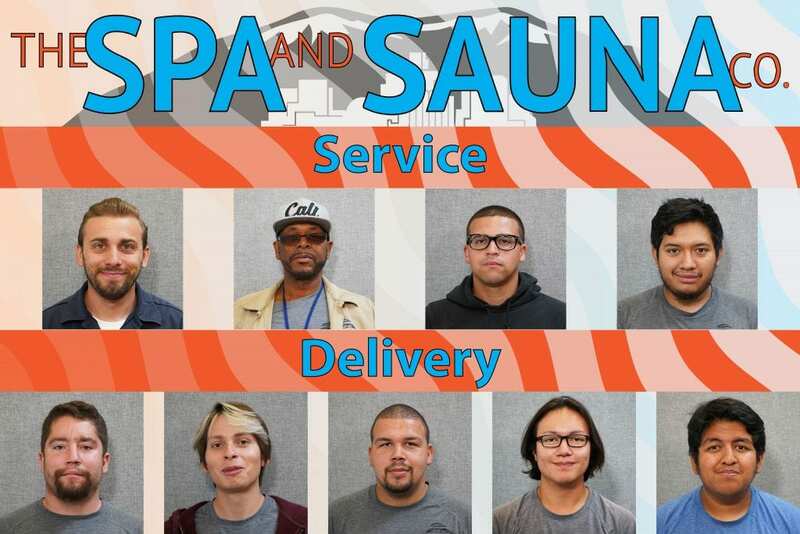 The Spa and Sauna Company values local delivery at several hundred dollars. That’s a great value to be included when you purchase a hot tub from The Spa and Sauna Company. Our trained professionals will bring the hot tub directly into your backyard and place it precisely where you want it. The only exception is when a crane or other machinery is needed. And in that case, we can provide referrals to crane vendors we have worked with in the past. If you need a crane, you would pay the vendor directly, just like your electrician. While crane delivery is rare in the Reno/Sparks/Tahoe area, it is sometimes necessary when the spa will be on a hillside or a second or third story deck. While we do use subcontractors to deliver and assemble the pool tables and shuffleboards we sell, the subcontractors we work with have over 15 years of experience and have worked with The Spa and Sauna Company for years. How much is a pool table or shuffleboard delivery worth? Again, we value it at several hundred dollars. A hot tub is a long-term investment and over the course of its life, you may need service or routine maintenance. Our Service Team includes factory-certified technicians, some with over a decade of experience. See some of our Delivery and Service experts below. Should you need service assistance with your hot tub or pool table, Click Here.